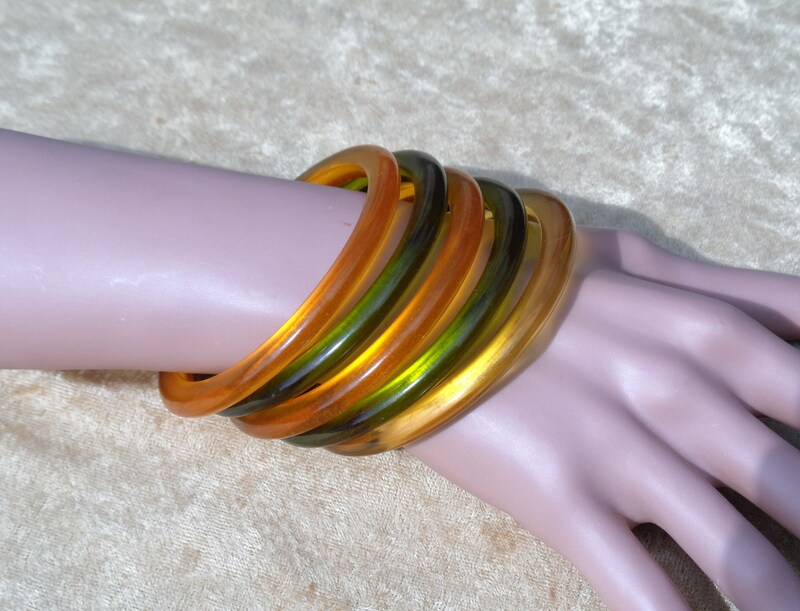 * Pictured above are transparent dome bangles in three yummy colors: lime green, sunny orange and apple juice. 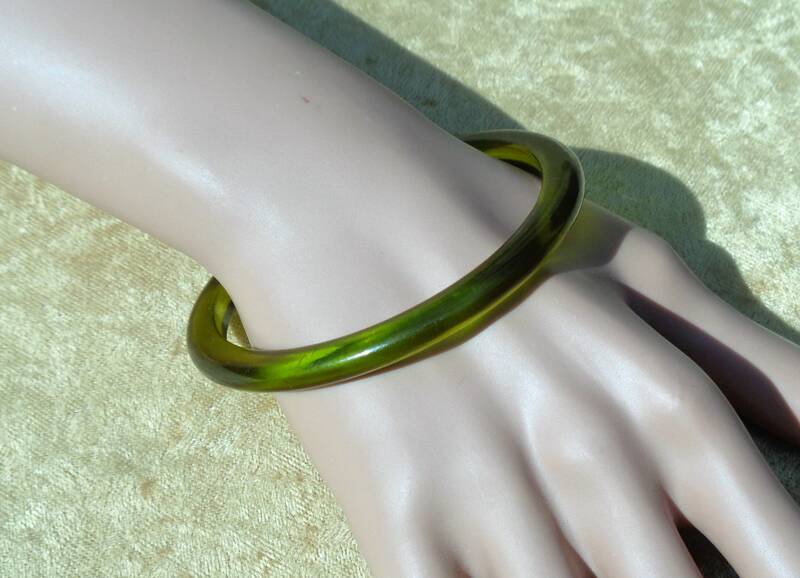 Each bangle shows different shades of its own color, depending on your view. 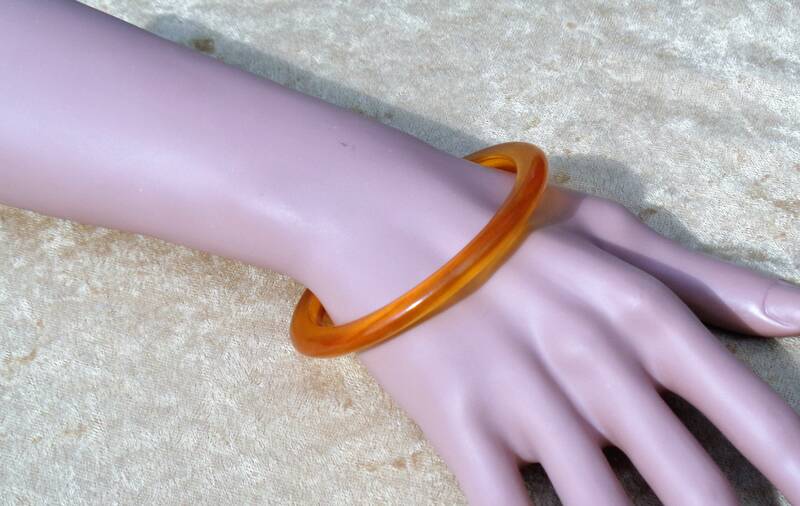 The price is per bangle, so buy one, two or all five! 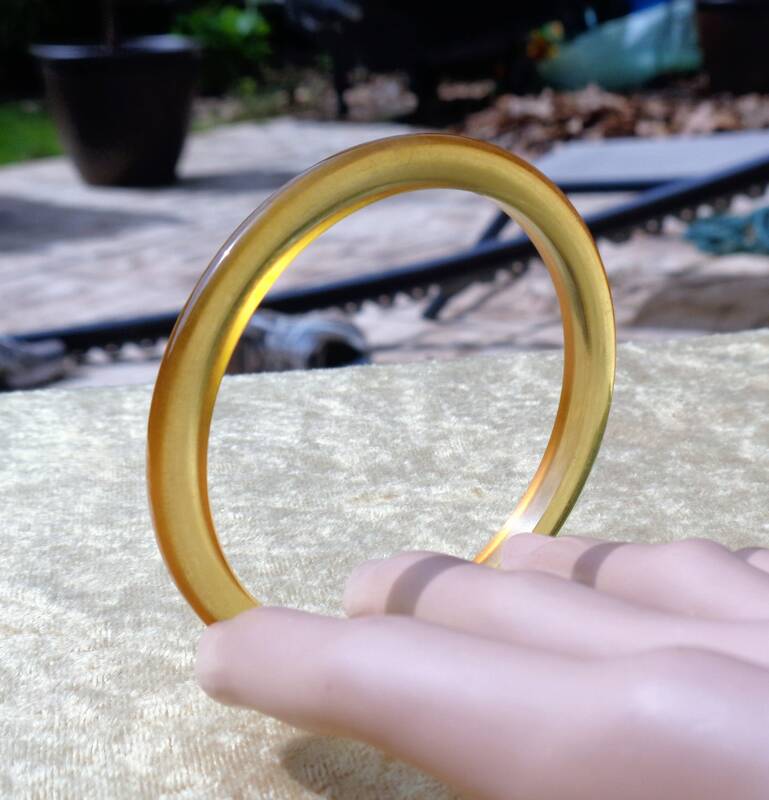 * Each bangle measures 1/4" wide and just over 1/4" thick. 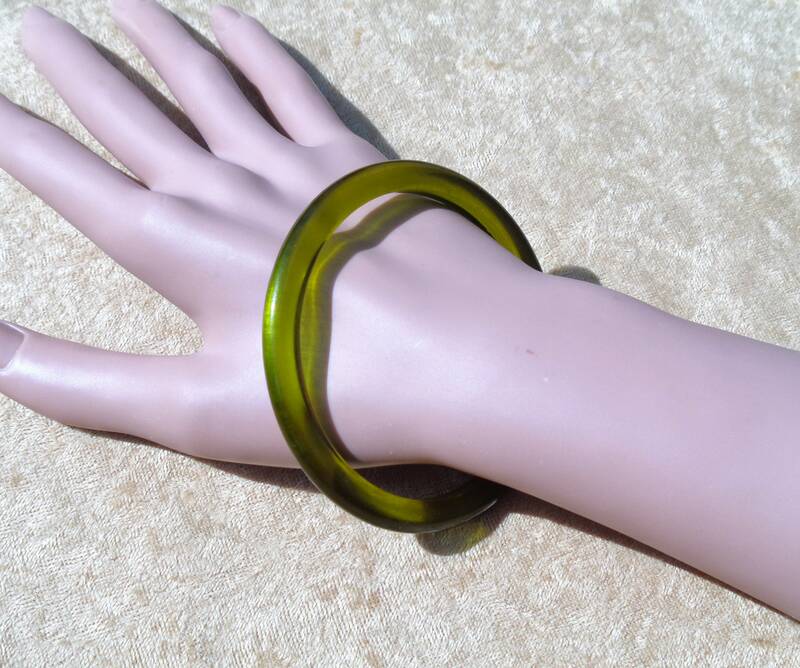 All of the bangles have interior openings of just under 2 1/2". 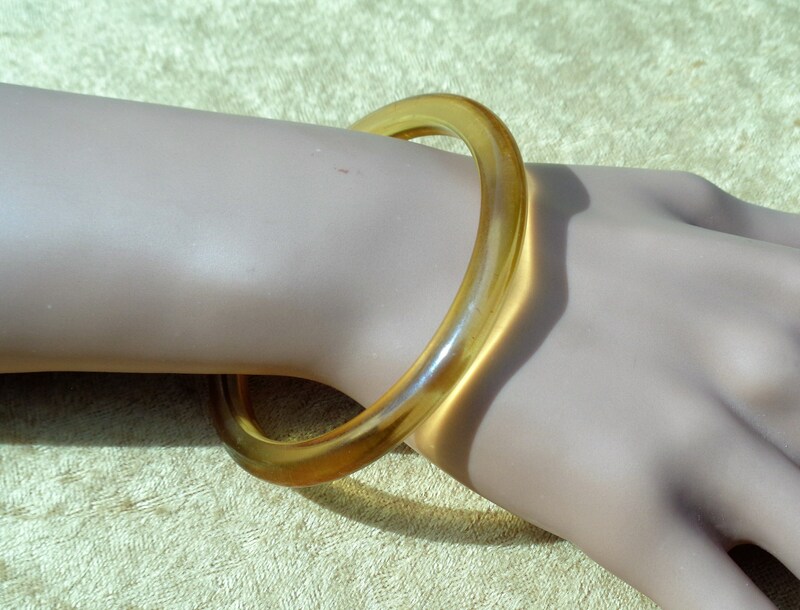 * All 5 bangles are in excellent vintage condition, with no chips, cracks or crazing and only minimal scuffing on the sides. 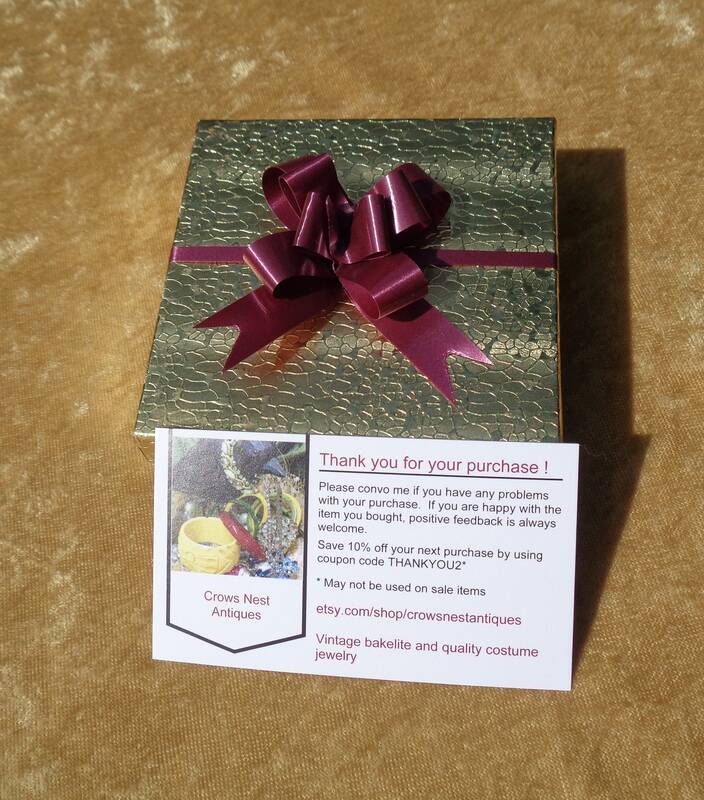 All items are shipped in a gift box unless otherwise noted. 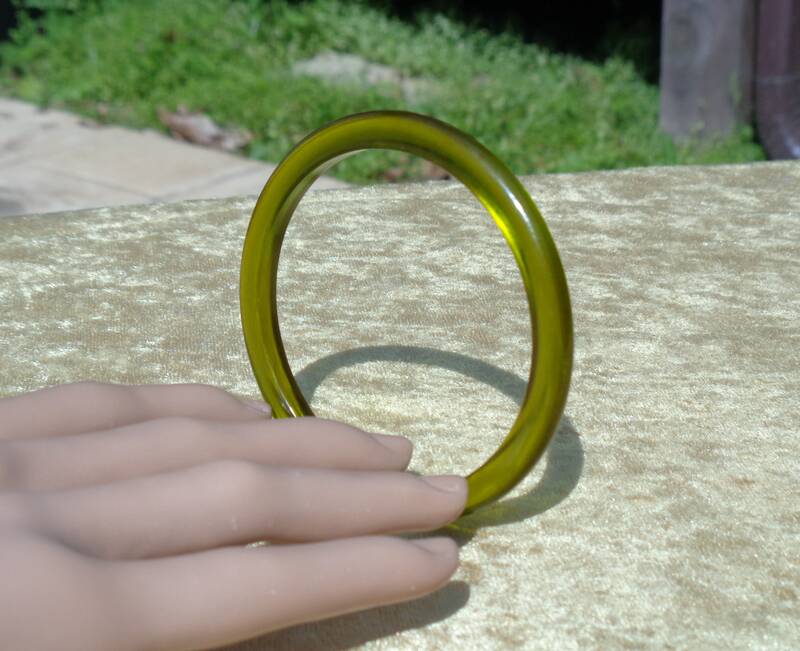 All bakelite is tested using a variety of methods. These include simichrome polish, hot water (smell test), tapping bangles together for the appropriate sound, and checking for mold lines and other discrepancies. Please examine the pictures carefully as they are part of the description. 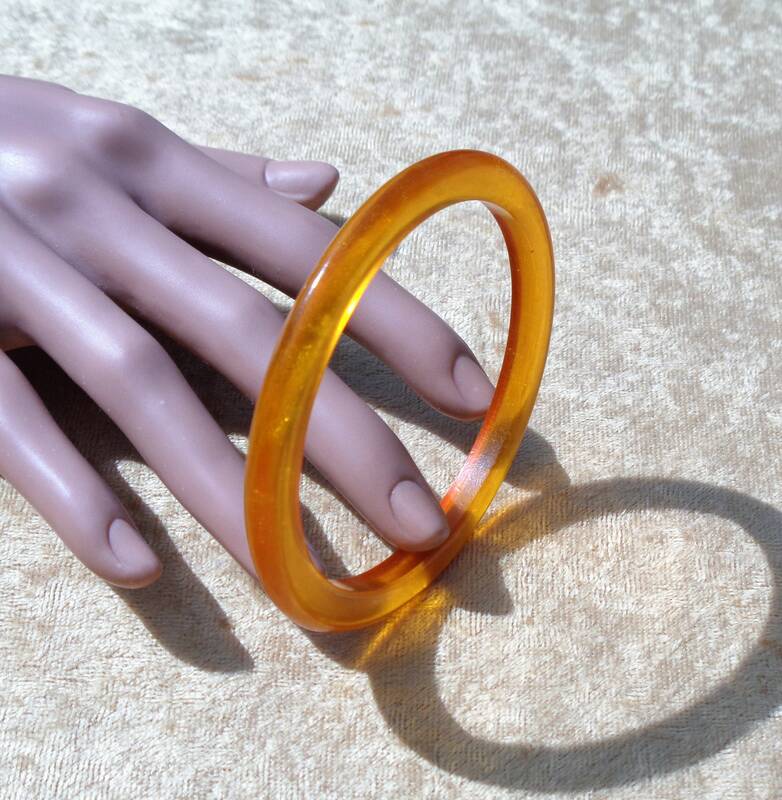 I examine each piece listed and will note any flaws or defects I find. If you have any questions about this piece, please convo me. I use a variety of colored backgrounds and editing techniques to try to match what I see with how the item displays on my computer. Please be aware that different computer monitors "see" color differently depending on the quality of their resolution and level of available color variation. Unless otherwise specified, I ship items using USPS First Class. Priority shipping is available for an additional fee and can be chosen at check-out. To my valued international customers: I print my shipping labels and customs form directly from my Etsy site and am unable to alter the purchase price on the customs form. I value all of my ETSY customers and will work with you to make each transaction a pleasurable experience. Please let me know if you have a problem or question and I will do my best to make it right. If you are happy with your purchase please leave positive feedback as this provides important information to potential customers. Thanks for stopping by my shop and please come again!